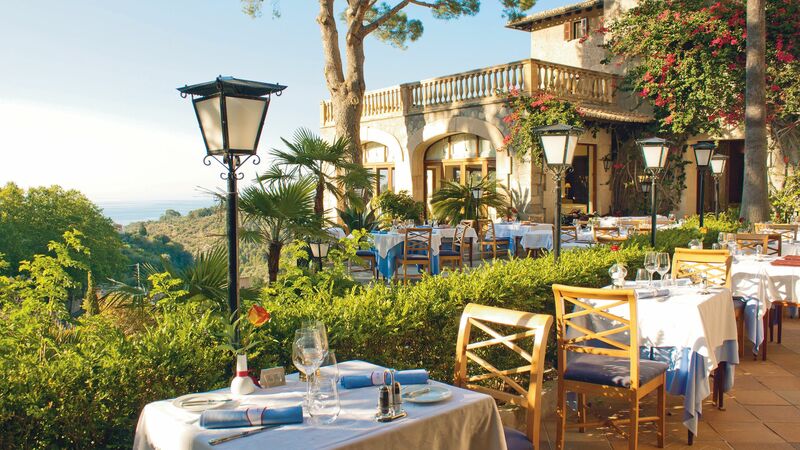 Hotel Es Moli is steeped in history and surrounded by the beautiful mountainous landscapes of Mallorca. It’s home to fantastic facilities, perfect for couples wanting to enjoy a relaxing escape. The restaurants serve fine cuisine and an excellent menu of wines and cocktails, using fresh local ingredients including seafood and cured meats. 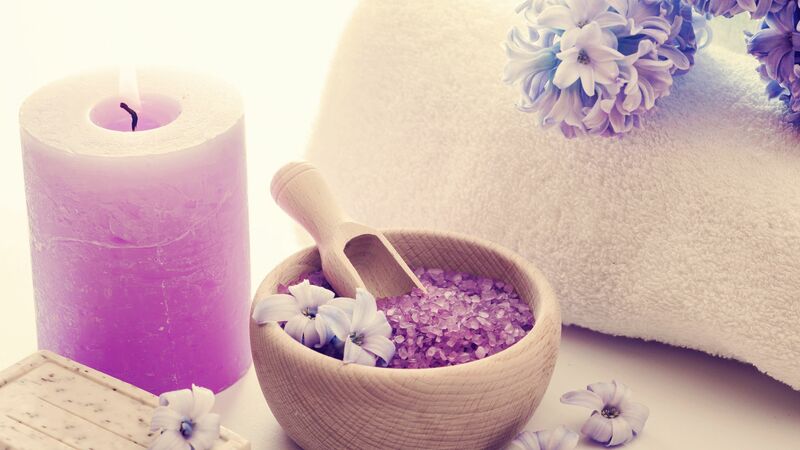 Relax and enjoy massages as you overlook the mountains and sparkling sea. Soak up the sun on the hotel’s private cove or by the natural spring water swimming pool, or enjoy snorkelling. Unwind in your elegant room and take in the views of the exotic hotel gardens or spend the evenings listening to local artists perform live music with a cocktail in hand. Hotel child prices apply to ages 2–11 years. This hotel is not suitable for guests with limited mobility. The hotel provides a daily free shuttle service to La Muleta, a secluded rock beach 20 minutes drive away. 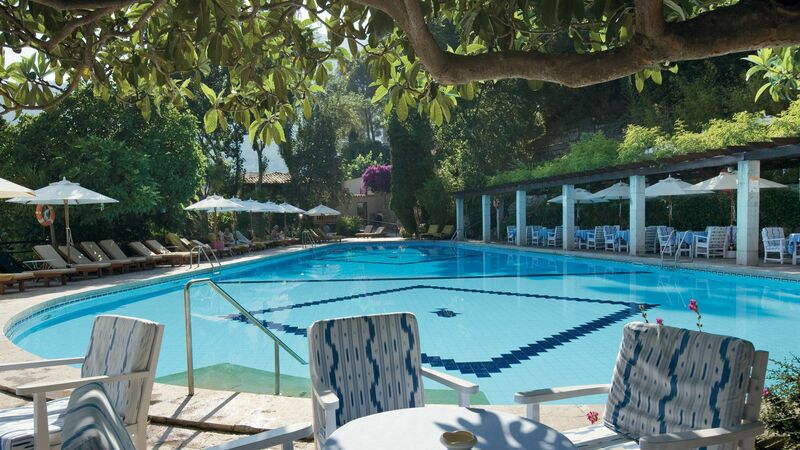 Take in the views of the hotel’s swimming pool and surrounding mountains as you relax on the al fresco terrace. Lunch and dinner include salads, fresh seafood, sandwiches and succulent meats washed down with crisp wines. Surrounded by the hotel’s tropical gardens and offering views of the Mediterranean, dine al fresco and enjoy delicious international dishes. Options include crispy brie salad, salmon tartare and red prawn cannelloni. Half board guests may dine at this restaurant. Men must wear long trousers. This outdoor breakfast terrace includes a variety of hot and cold dishes, including juices, breads, cold meats, dairy products and freshly made to order omelettes. Experience the best of Spanish cuisine from the al fresco terrace. The menu includes Spanish cured meats and cheeses, potato omelettes and prawns in garlic. 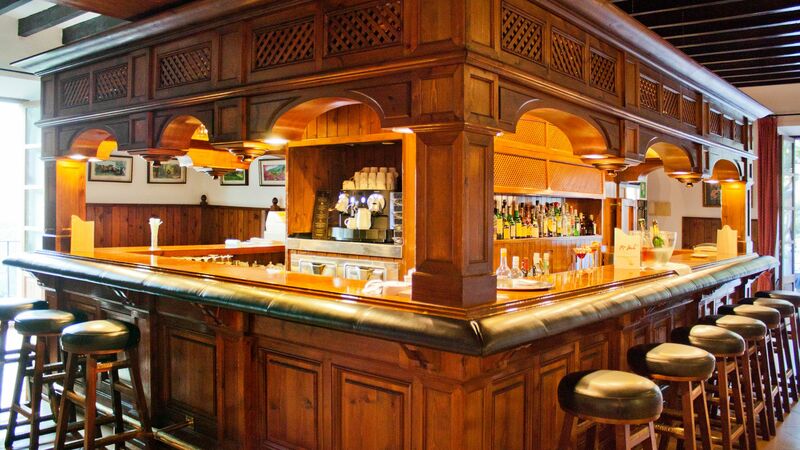 This cosy bar is the perfect place to unwind. Cocktails, tea and coffee, soft drinks and fine spirits are served throughout the day. 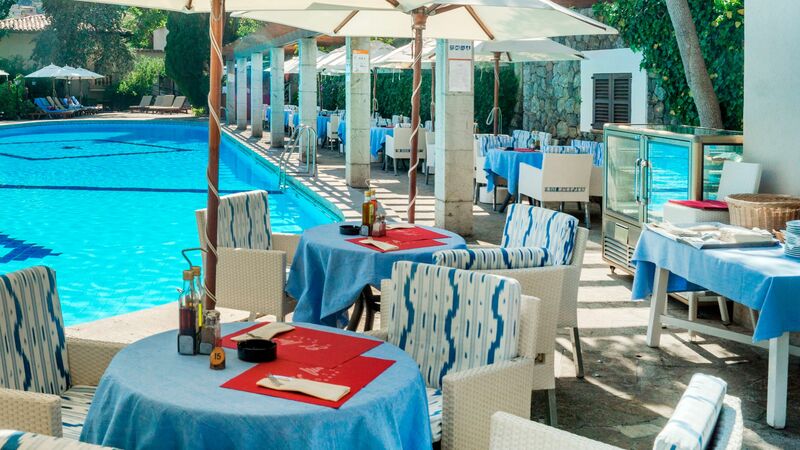 Located next to the Hotel Es Moli’s swimming pool, this open air bar offers refreshments, beers, soft drinks, wines and spirits. Tea and coffee is also available. This mountainside restaurant serves delicious fresh local produce and international options. The menu includes black angus carpaccio, suckling pig terrine and sea bass fillet. Live music is played on selected evenings. Listen to the sounds of the Mediterranean and soak up the views as you choose from light bites and snacks. Favourites options are mozzarella salad, sandwiches and toasties and grilled meats and seafood. The heated spring water swimming pool offers views of the surrounding mountains and has a bar where you can enjoy refreshments. This tranquil terrace overlooks the sparkling Mediterranean and is the perfect place to enjoy a cooling dip or snorkelling. Specialist beauticians offer massages, facials and other treatments by the swimming pool or in the wellness area overlooking the sea and mountains. Yoga and pilates classes are available at the Hotel Es Moli, as well as tennis courts and equipment and a gym. Listen to live music in the evenings, including piano and guitar music as well as jazz bands and singers. 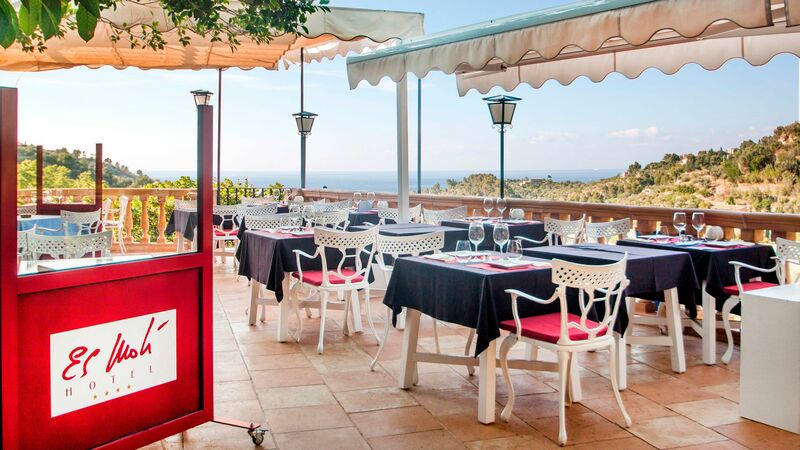 Hotel Es Moli is located in what is often called Majorca’s most beautiful town. Its hilltop location offers incredible views, with luscious surroundings and fertile farmlands providing fresh produce and excellent wines to the town’s restaurants. A well known retreat for writers and rock stars, some of its most famous former residents include Mick Jagger and Richard Branson. Michelin starred restaurants abound in this little village, with some famous varieties of wines paired with exquisite menus. If you prefer to spend the day at the beach, Cala Deia is a five minute drive away and offers a pretty little cove backed by lively seafood restaurants. Hotel Es Moli is a 40 minute drive from Palma de Mallorca Airport. Annexe Twin Rooms are located on the first and second floors of the annexe and 100 metres from the main hotel building with approximately 100 steep steps to climb. Rooms have 2 single beds or 1 double bed (on request), bath or shower, WC, air conditioning, TV, minibar, tea and coffee making facilities, daily local newspaper, piped music, telephone, hairdryer and bathrobes. These rooms can accommodate a maximum of 2 people and do not have balconies. Twin Rooms are located in the main hotel building. Rooms have 2 single beds or 1 double bed (on request), bath or shower, WC, air conditioning, TV, minibar, tea and coffee making facilities, daily local newspaper, piped music, telephone, hairdryer and bathrobes. Not all rooms take 3rd person and therefore all rooms for 3 people are on a request only basis. These rooms do not have balconies. These rooms include a shower but no bath. Twin Room with Balcony or Terrace are located in the main hotel building. Rooms have 2 single beds or 1 double bed (on request), bath or shower, WC, air conditioning, TV, minibar, tea and coffee making facilities, daily local newspaper, piped music, telephone, hairdryer and bathrobes. Not all rooms take 3rd person and therefore all rooms for 3 people are on a request only basis. This category has a balcony. Rooms include a shower and no bath. Single Rooms are located in the main hotel building. Rooms include a shower, WC, air conditioning, TV, minibar, tea and coffee making facilities, daily local newspaper, telephone, hairdryer and bathrobes. These rooms do not have balconies. Triple Rooms are as Twin Rooms but can sleep up to 3 adults. Triple Rooms with Balcony are as Twin Rooms with Balcony but can sleep up to 3 adults. Save up to 15% on the hotel price for holidays between 29 March - 16 May 2019 and 02 - 27 October 2019 booked by 28 February 2019 (excludes stays in a Single Room). Guests receive an additional 5% discount on the hotel price when staying 5 nights or more for holidays between 29 March - 16 May 2019 and 02 - 27 October 2019 booked by 28 February 2019 (excludes stays in a Single Room). All staff fantastic including the very polite gardeners, parking what a bonus for Deia. This is an old style Spanish hotel, takes me back 20 years with good old fashioned service, decor and feel. Wonderful pool area. Great views from everywhere. One of the gardens is just orange, lemon and lime trees a very special place. “ Nice Stay but Annex has issues. I find the earlier one star review hard to believe. I found the front desk staff to be helpful and engaging. We ate at their top restaurant and got very good service and excellent food...especially the octopus. Our room was very clean and the bed was comfortable. Got a great night?? ?s sleep. Very nice bathroom. Excellent view with terrace. The ???Annex??? has a shortcoming in that there is no room service, but a call to reception did succeed in getting a late night delivery of ice to our room. (This was not unappreciated, as the drive to the main building is hellish to say the least. Note to mgmt: provide ice machine at Annex!) Failure to provide Room Service to Annex is a BIG drawback as the distance to walk to main building is far and the return climb is steep. Due to hellish driving and parking situation on property I would be tempted to take away a star in the above rating, but this is Deia and this pretty much goes with the territory. But improvements in the areas of Room Service and Driveway/Parking should be made as they are Serious Shortcomings. The pool was nice and clean, although there seemed to be a lot more towels on chaises than people, so the pool attendants should have controlled this better. Breakfast was very good with an omelette station and fresh squeezed orange juice as highlights. Always follow your gut instinct. We should have left after our initial frosty greeting, on arrival. The receptionist was extremely rude and arrogant, clearly in the wrong job and not a great 'face' to make the right impression and represent the hotel. Sadly the poor service continued and the staff at the pool restaurant were no better. Everything just seemed too much trouble. Unfortunately all was not redeemed with the dreadful food and when asked if everything was OK our fair and honest comments were met with 'shrugged' shoulders. Overall very very poor indeed. My husband, son and I stayed here in August. The place is in a stunning location, surrounded by mountains. The pool area was beautiful and never crowded. Service at all times was on point. We stayed in room 102 which was roomy, very light and had a very large terrace with gorgeous views. For two days we took the hotel shuttle down to the private cove. This is an absolute must and the highlight of our trip. Crystal blue see, pine trees, views and delicious food, Heaven. At night we took a walk into the village which had some great little resteraunts. The walk is pretty easy and very romantic at night with the stars glistening above. Living in London and living in London time, it usually takes me a week to unwind out of London mode. I unwinded immediately when I came here. Bravo Es Moli - a truly exceptional hotel and a wonderful treat. We had five wonderful nights there this month.The hotel is well appoined and the staff very helpful.The hotel restaurants are very good either by the pool, the main restaurant and Can Quet is superb . It is very quiet and away from the main centres.